Society of Exploration Geophysicists UGM Student Chapter (SEG UGM SC) has been elected the Best SEG Student Chapter of the World 2014, defeating about 300 other SCs from around the world. 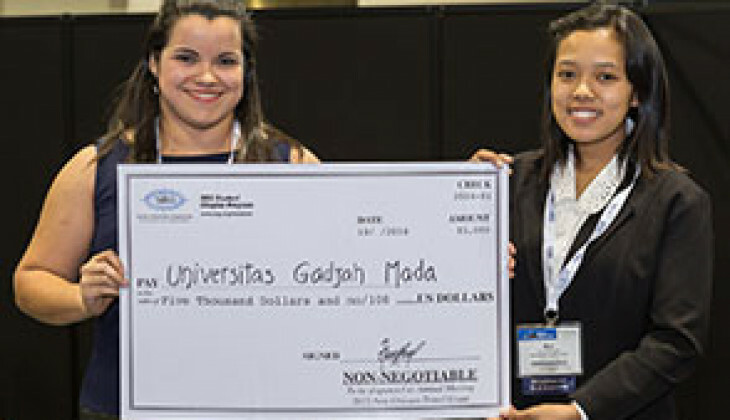 The award was presented during the Student Leadership Symposium held in Denver, Colorado, U.S.A, from 25- 31 October 2014. President of SEG UGM SC, Nur Wahyu Maulaningsih, said the competition was done annually, assessing the performance of geophysicist student associations. “The status as the Best Chapter of The World is the highest appreciation for consistence and quality of our programme for the past year,” she said on Monday (24/11) on UGM campus. Wahyu revealed they became the best after being evaluated as able to implement work programme by integrating education, research, and community service. “We are seen as able to conduct outreach programme, integrating education, research and community service,” she said. Since its inception in 2005, SEG UGM SC has been active in various internasional events. Wahyu said in the future the association would continue programmes in the organisation.